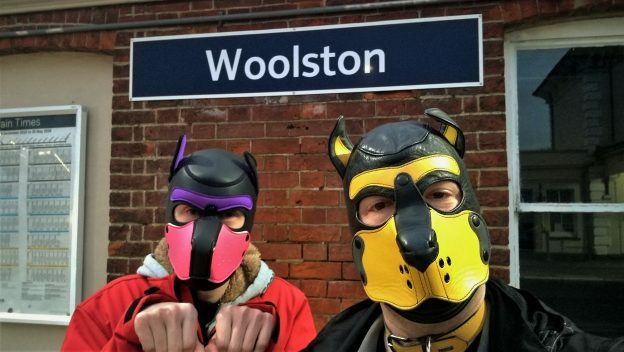 The Great New Year’s Station Gathering continued, as Echo and I got to Woolston station, just in time for a train to Southampton to come and clear the platform of waiting people. Attached to the station building was a well-lit sign by a green door. Alas, the light reflected off the sign and it was utterly unsuitable to use for the photo. However, the opposing platform also had a brick structure and the lighting was far less obtrusive. This allowed us to get a much better photo for the site. Mission accomplished, it was time to make a jaunt to the final station we had planned to capture on the line less travelled. This entry was posted in 4) National Rail, Hampshire on January 1, 2019 by CondorBriarpup.